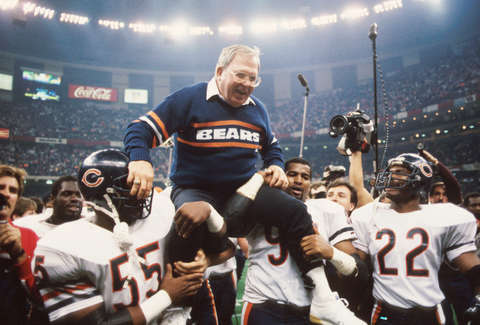 As we gear up for the Super Bowl, along with the release of the upcoming ESPN documentary 30 for 30: The ’85 Bears, it’s time to end the debate right here and now: the ’85 Bears were the greatest team of all time. 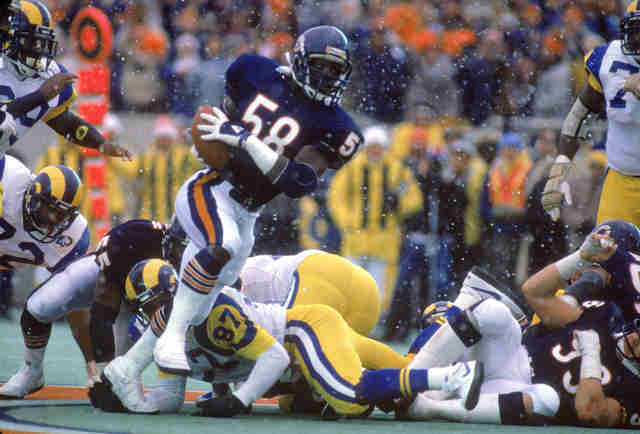 Take a trip back 30 years with a look at the finest moments of that legendary season that had the Fridge, Sweetness, and Monsters of the Midway crushing all competition en route to Super Bowl glory. Happy 30th, Mongo. 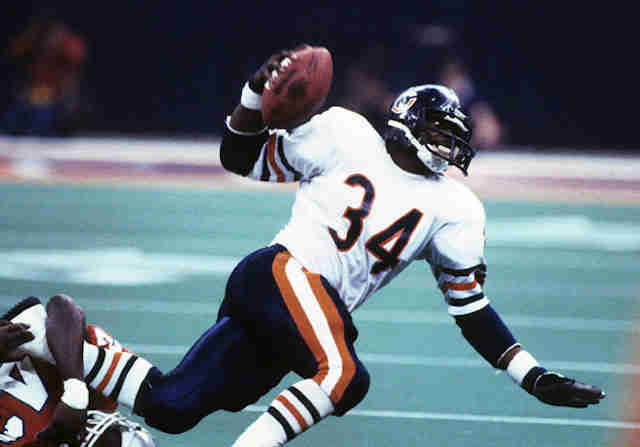 In week four versus Washington, wide receiver Willie Gault’s 99-yard kick return woke the slumbering Bears from a 10-0 deficit and helped propel the team to a crucial 45-10 win. But that’s not the best part. The Washington punter was also injured on the play, forcing quarterback Joe Theismann to attempt the only NFL punt of his career on the next possession... which traveled a total of one yard in a symbol of the futility of trying to stop the Bears attack. In week 10 versus the Detroit Lions, the Bears’ legendary ground attack posted not one, but two, rushers with 100-yard games. It was no surprise that the NFL’s all-time leading rusher at the time, Walter Payton, gobbled up 105 yards on the ground, but fullback Matt Suhey also chipped in a big way by stomping out 102 yards of his own. 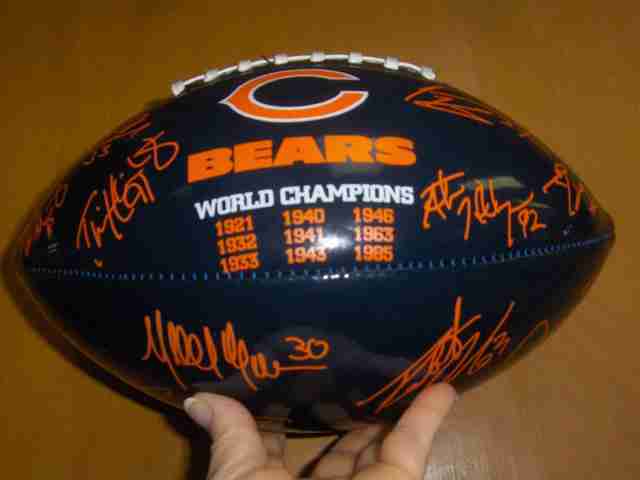 The Bears haven’t accomplished the feat since. The 13 mile-an-hour Soldier Field wind came in handy in the Bears’ first-round playoff game against the New York Giants when New York tried to punt from their own 12-yard line. Punter Sean Landeta missed the ball entirely and cornerback Shaun Gayle recovered and ran it in five yards for the Bears’ first TD en route to a 21-0 victory, showing that even the gods were on Ditka’s side this year. 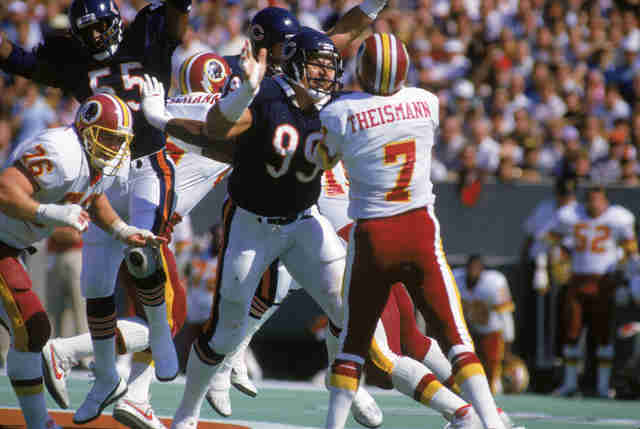 The Bears avenged a devastating 23-0 playoff loss in the NFC Championship Game the year prior at the hands of the eventual Super Bowl champion San Francisco 49ers in week six by sacking Joe Montana a bone-crushing seven times on their way to a 26-10 win. 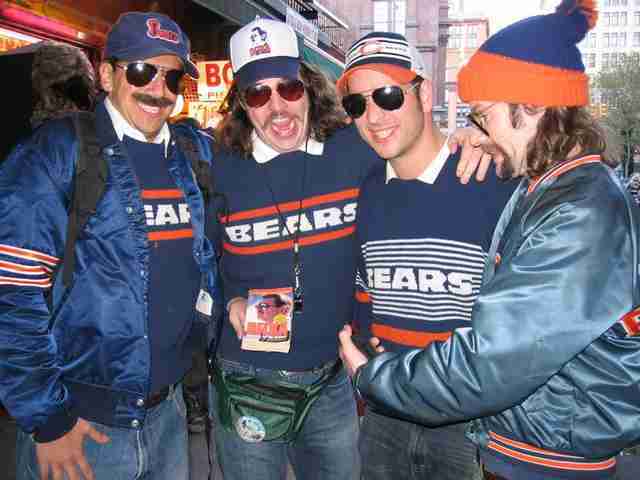 Turns out they would need it, as this would be the Bears’ last victory in San Francisco until 2014. 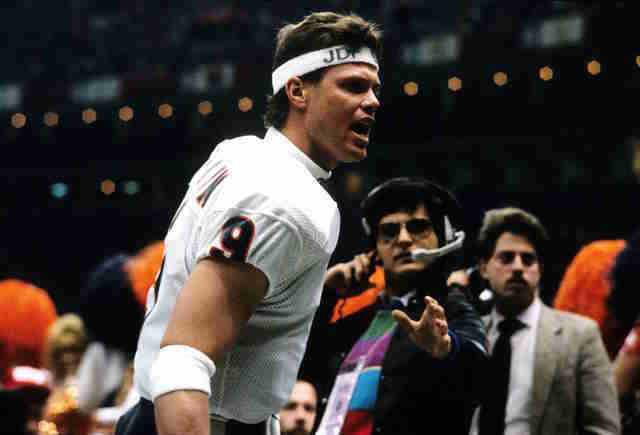 Week three started out in dicey fashion with Jim McMahon on the bench due to a pinched nerve in his neck, with the Bears starting backup QB Steve Fuller on a Thursday night game in Minnesota. With the Bears trailing the game at halftime, McMahon badgered coaches until he was eventually let back in the game late in the third quarter. When he did, the “Punky QB” immediately engineered a Bears comeback (his first play being a 70-yard TD pass to Willie Gault) as the team put up 27 points in the second half on their way to a 33-24 victory. In week nine, the Packers thought they’d have a little fun at coach Ditka’s and the Bears’ expense by putting horse manure in the visitor’s locker room at Lambeau. Hilarious, right? Wrong. The Bears made the Packers eat it on the field, winning their closest game of the season 16-10 with a gritty fourth-quarter comeback fueled by revenge after a hit from Green Bay cornerback Mark Lee sent Walter Payton over a bench. The Bears became the first team in NFL history to not be scored on in any playoff game leading up to the Super Bowl, recording back-to-back playoff shutouts vs. the New York Giants and Los Angeles Rams by a combined score of 45-0. With the stingy Bears defense allowing only 32 rushing yards against New York and 130 yards of total offensive versus the Rams, neither team had a chance. William “The Refrigerator” Perry’s memorable one-yard TD run in the third quarter of the Super Bowl made the score 44-3 and nailed the door shut on whatever slim hope the wild card Patriots had for a comeback. But, simply for the balls of the play call that showed how much fun the Bears were having, our favorite moment may have come earlier in the game when the 335lb rookie defensive tackle attempted to throw his first NFL pass on a halfback option play but was sacked for a one-yard loss. In week 11, the Bears routed the NFC East champion Dallas Cowboys on the road by an eye-popping score of 44-0, leading to the iconic “44-0” Sports Illustrated cover. It was Dallas’ worst loss in franchise history and the first time the Cowboys were shut out in 15 years over 218 games. The win also gave the Bears the NFC Central division title at 11-0 with still five games left in the season, as they would eventually win the division by seven games over Green Bay. This was just ridiculous. The Bears recorded the popular song after losing their only game of the season in a disastrous week 13 matchup against Miami where everything that could do wrong did. 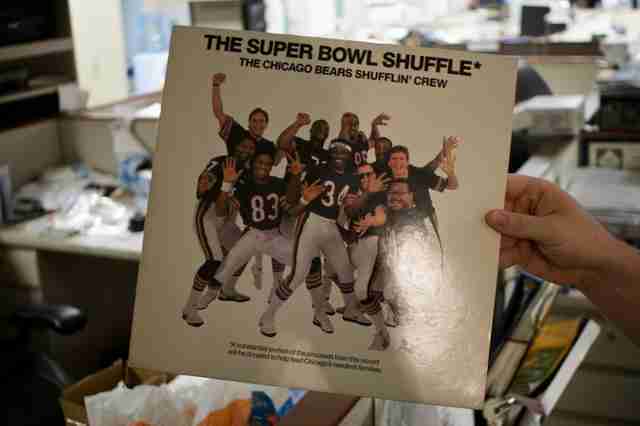 Yet they went ahead with the song anyway (without Dan Hampton, who felt the song was too arrogant) before the playoffs had even started, becoming the only professional sports team to record a rap song. The song instantly struck a chord with the nation, hitting #41 on the Billboard charts, raising $300K for charity, and being played on repeat at basement parties all over the state throughout the ‘80s.